One of the most controversial debates among the player base across all forums since the release of God Wars Dungeon all the way back in 2007 has been the amount of profit that can be made from PvM vs other parts of the game like skilling. 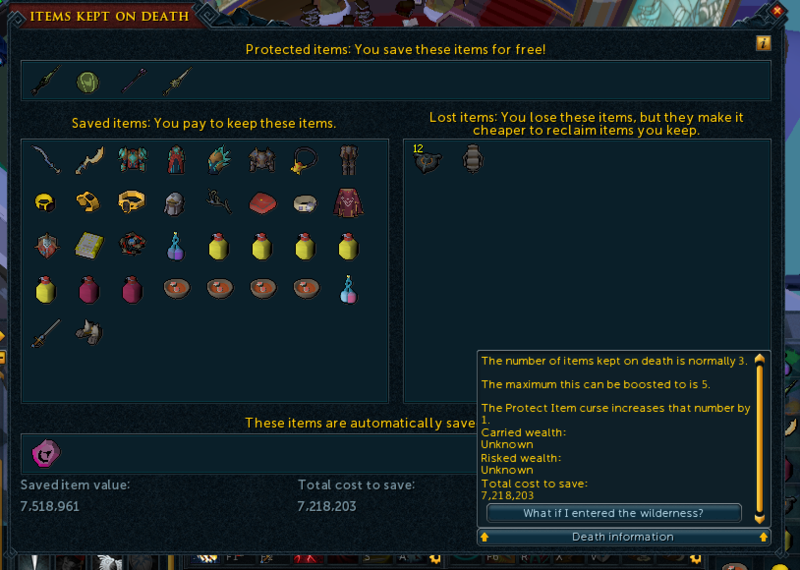 This “problem” became further accentuated in 2011 with the release of Nex, a boss that had suddenly made it possible to get drops worth unheard of prices. Things really came to a head in 2012 with the release of EoC. Suddenly, mobs that took time to kill could be annihilated in mass quantity and 2013 saw the release of yet another category of profitable bossing entirely with the advent of t90 drops – Kalphite King, Vorago, Legios, and Rise of the Six. As this timeline progresses, the PvM community gets gear that is further and further power crept and bosses like Nex: Angel of Death and Telos which take profits to the absurd while skillers have felt under-appreciated, especially in the money making department. While I have a lot of sympathy for their claims, my contention is: as currently constructed, high level PvM should make way more money than skilling, it should not be close or even in the same part of the cosmos. Aside from the enormous number of hours, patience, and death costs it takes to get good enough to efficiently kill bosses like Telos at a high level, the raw cost of PvM has become so incredibly high that gross profit must be huge for it to even be worth it. In a recent video, the RS Guy calculated 50 hours of Elite Dungeon 3 solos with using a Grimoire, the best in slot pocket item for only the Ambassador fight itself he would profit 15k GP/hour. If you get average crossbow luck, you’d make around 8m an hour. The rates have since been slightly buffed and average loot seems to be almost 50% better, but in essence, the cost of using the best gear has become so astronomically high that in most places it’s simply not worth using. Without a Grimoire and using something far cheaper such as a god book, he made a paltry 570k/hour. This profit expectation also assumes full t92 gear which doesn’t degrade in elite dungeons, but if using any other armor you’d have to factor in that cost as well. Let’s examine the average cost/hour in PvM supplies. Obviously, some of these things could be downgraded to a cheaper alternatives, but these are all considered very standard choices and are required to keep up with the “crazy” numbers you might hear such as “Telos is 60m/hour or AoD is 50m/hour.” First, this presumes ideal drop rates and doesn’t factor in cost. Second, given certain bosses being exponentially faster if you reach HP thresholds that cause lengthy and high damage dealing mechanics to skip entirely, every single percent boost accumulates and is absolutely vital. For example, the difference between an enhanced replenishment potion and a replenishment potion at Solak is huge because it allows you to Wild Magic first rather than Asphyxiate and still make the green discs. All 7 team members or both duo partners having this can mean consistently one cycling phase 1 which can save up to 3 minutes of kill time. 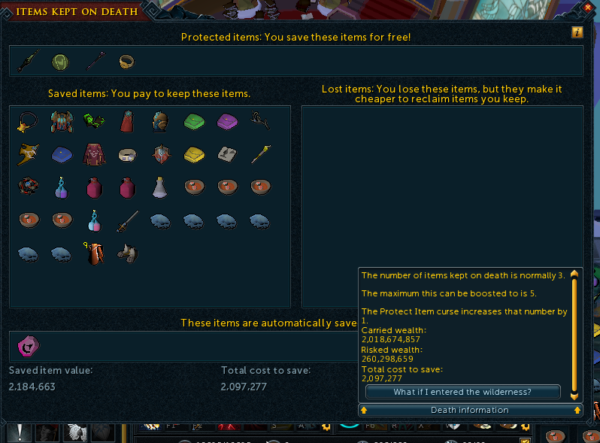 Lastly, some of these items such as overloads take a lot of time to make which takes away from hours that could be spent making profit, not to mention the numerous hours and hundreds of mills spent getting 99s in relevant skills and (in nearly all cases) maxing to make use of the boss portal. Per hour cost: Supreme Overload Salves – 134k x 2, Enhanced Replenishment Potion 143k x 4, augmented t90 armor = 270k drain rate x 2 + cost of armor/around 50 hours – for tectonic this makes it 1660k/hour without factoring in the mask. Steel of legend scrolls or Nihil – 40k or 72k. 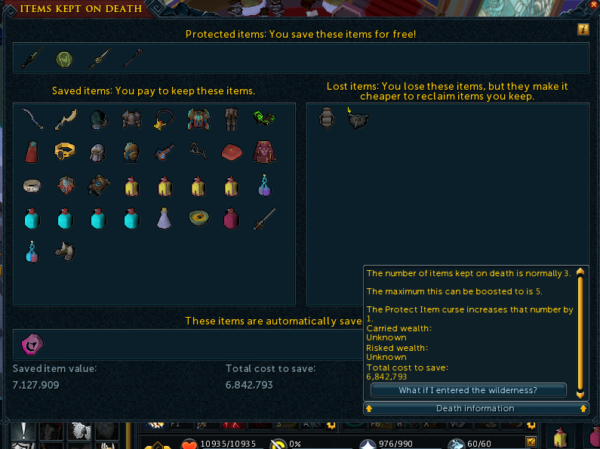 Summoning flasks are 30k ea – the number use varies greatly but at top end places like Solak I use about 25/hour so 750k. 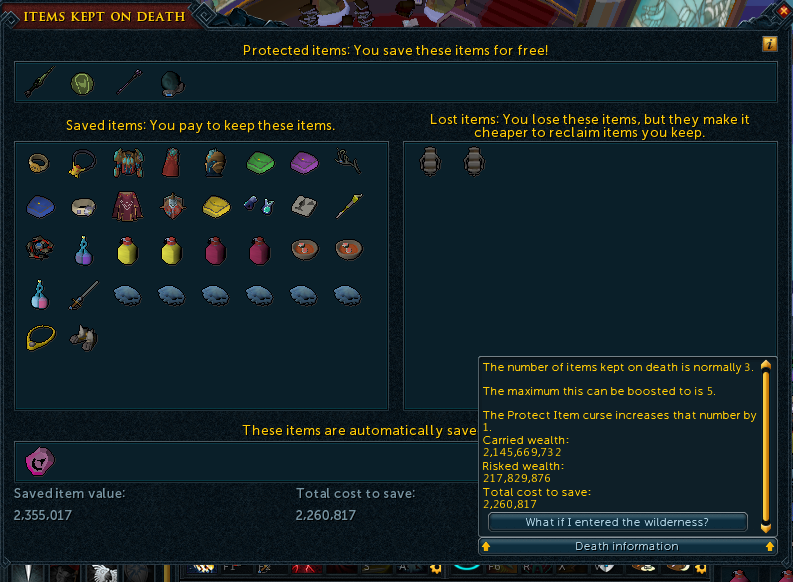 Kwuarm and Spirit Weed incense are 220k/297k/hour (assuming 0 deaths – they’re lost on death even with Ring of Death). T90 weapons around 270k/hour drain rate. Hydrix jewelry, assuming no deaths, around 105k/hour. Smaller things like 300k for vis wax each time you extend a zerker aura also add up to a lot over time. This brings the total to a bit under 3m/hour just in the basic loadout. This doesn’t factor in common upgrades such as t90 – t92 weapons and would require you to use no ammunition/runes and eat 0 food every single kill. Something like 4TAA with ancients costs several hundred K/hour in runes given how often you’re auto attacking. If you’re extremely skilled at PvM – something that for most means literally hundreds of deaths to achieve, maybe you use around 2 brews, 2 jellyfish and 1 soup/kill at a place like Solak, Vorago or Telos which would be around 120k/hour. When learning bosses though, you might be chomping down on 6-8 brews a kill and dozens of soups (for example pushing enrage at Telos). I have to stress again, all of this presumes ideal conditions and relatively non-intensive combat situations. For example, t90 armor degrades far quicker in places with lots of minions – Vorago during the Vitalis rotation or Araxxor’s minions would be examples of this, and those situations will double the cost of Hydrix and armor drain. This also doesn’t factor in low costing degrades such as Cinderbanes or t80 boots (I’m not factoring in t90 boots as they’re rarely used for being so cost prohibitive. This also assumes you’re crafting your own scrimshaws from ports, but if you didn’t your pocket slot would be around 1m/hour or around 3.3m/hour with grimoire (standard at Telos or while using melee at places like Vorago or AoD). This brings me to part 2: death costs. The thing about PvM, is that it’s really hard. Even the best in the game die a lot more often than you think. It’s incredibly easy to have an unlucky crackling proc during a web on duo Araxxor that reflects you for 9k damage and sends you to deaths office. Your team mate can stuff up green bomb and 10k you at Vorago or an early Detonate can hit you for 13k+ easily. At Solak somebody could lag and miss their pad, or you could get an unlucky but not terribly rare blight bomb + ranged hit combo just as you use berserk, dropping you instantly without your Ring of Death on. 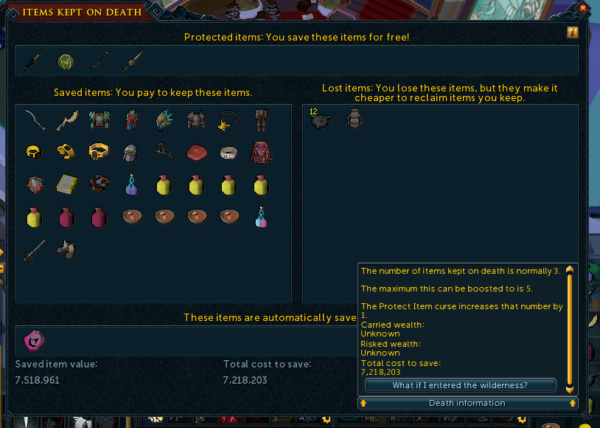 I am sure I’ve died well over 1,000 times since the release of deaths office, and I think people don’t realize what PvMer’s grave costs look like, so here are some screen shots of my standard presets. Remember, these are for everyday average kills – records would utilize far more switches and cost much more. If I die due to losing prayer “getting smited” as we used to call it back in the Old School days of RuneScape, these costs would all be significantly more expensive. When I’m pushing myself to get better – a crucial part of the process for excelling at standard kills – I die all the time. At telos pushing enrage I might get 3 kills/hour with 6-7 deaths or more. Learning Solak speeds I was dying maybe 6-7 times/hour. My first time learning Trio Vorago Hardmode 1 kill and 3 deaths an hour would’ve been a success. I could write an entirely separate article about the billions of GP it takes to maximize your gear or perk setup, which are again crucial to getting the kill times needed to achieve those huge rates of profit, but I hope this gives people some insight into the cost of everyday, run of the mill PvM and provides some explanation for the difference in GP made.